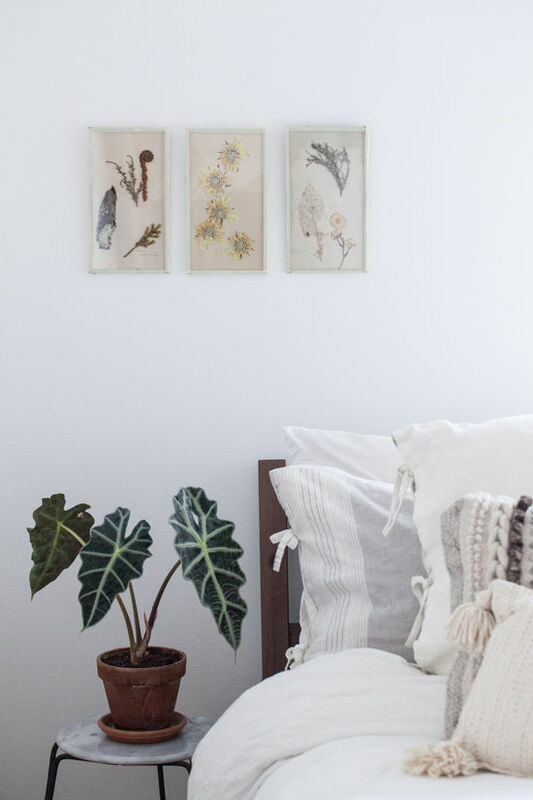 we have another gorgeous DIY project by alyssa hoppe that we are excited to share with ya. 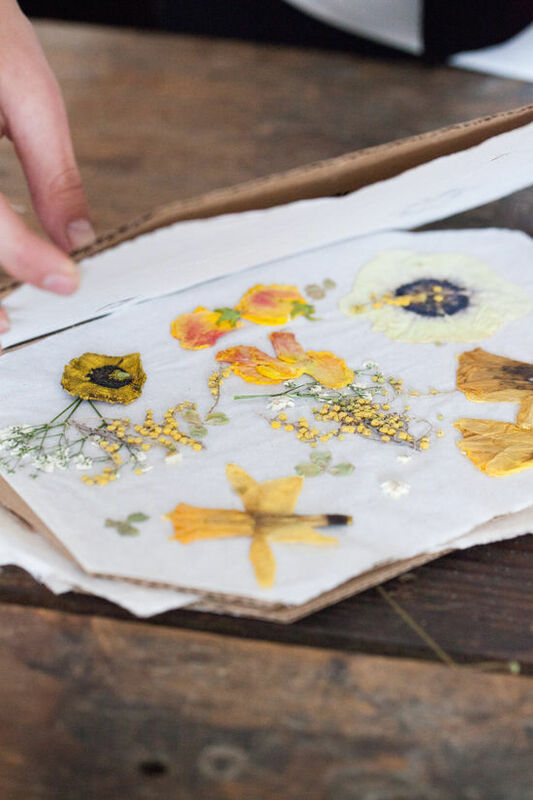 we talk a lot around here about how to make affordable art, and this is a perfect way…pressed flowers. let’s learn how! 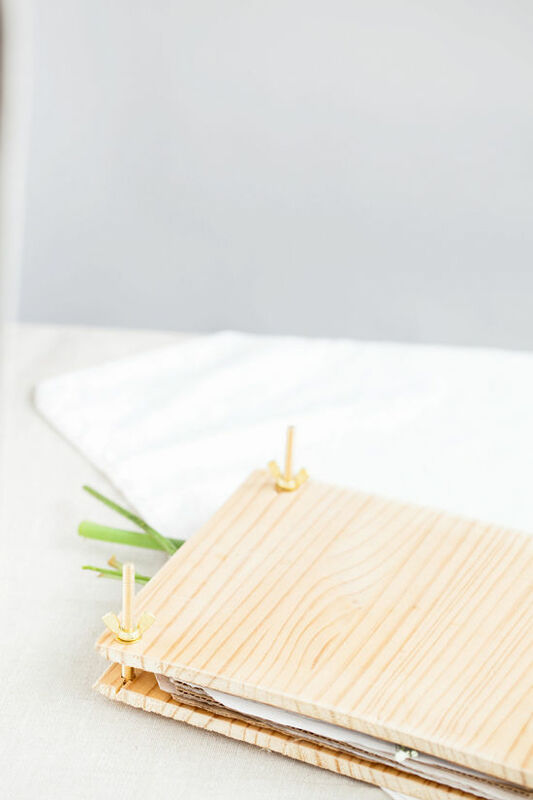 • Start by lining up your two pieces of wood and drill a hole on all four corners 1/2 inch in for the bolts. • Slip your bolts in to make sure the whole is loose enough for the wood to slide up and down. • Take your cardboard and newsprint and cut off the corners of each side so that there will be room for the bolts once inside the press. 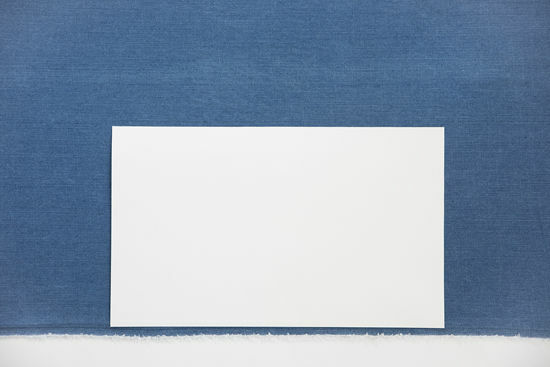 • Layer the cardboard and newsprint together five sheets of newsprint to one sheet of cardboard. 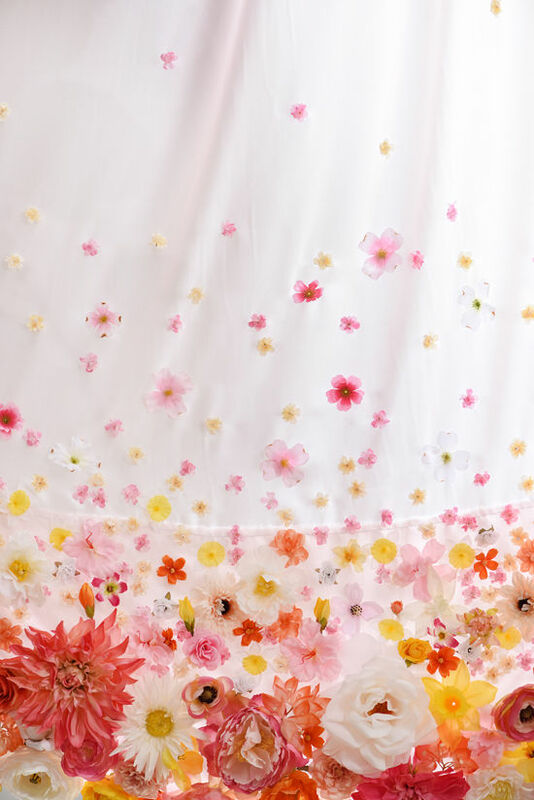 You can create as many layers as you want depending on how many flowers you want to press. 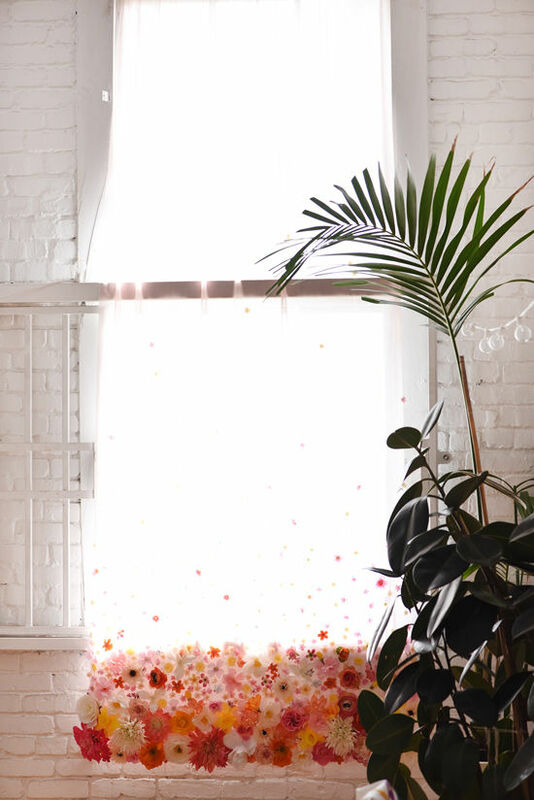 • Then place your flowers you want to press in between the layers of newsprint. 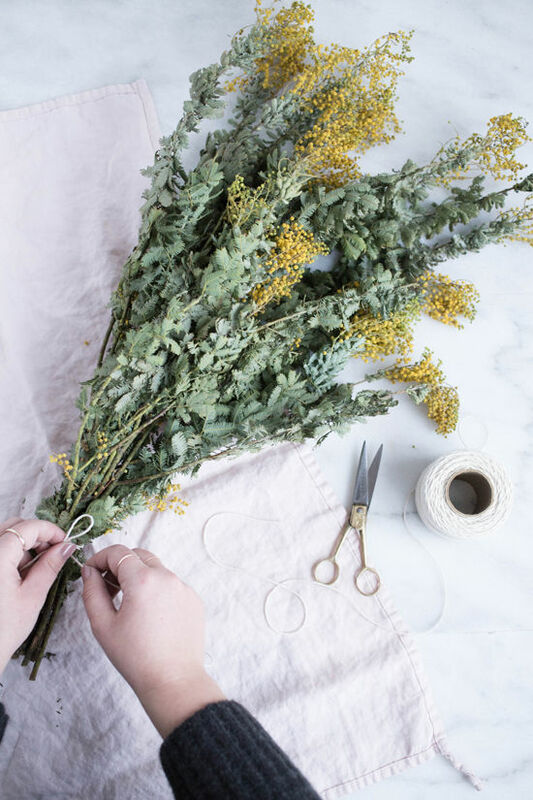 • Once all of your flowers are placed, slip the stack of cardboard and newsprint between the wood and tighten the wing nuts. 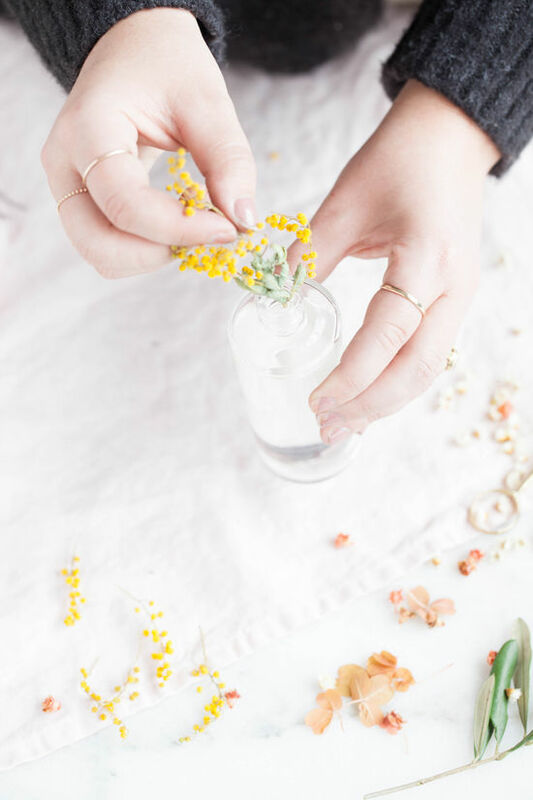 • Make sure to press firmly on the wood while tightening the bolts so that the flowers are really pressed. 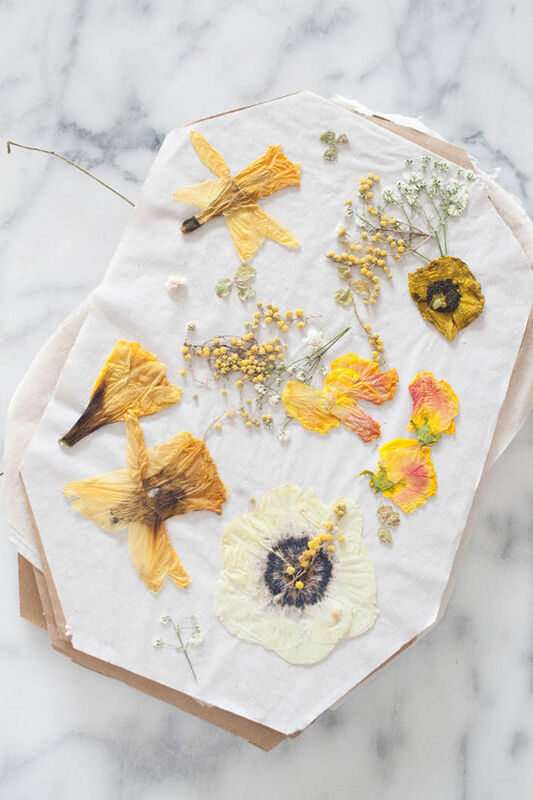 and don’t forget about this DIY dried floral room spray right here. 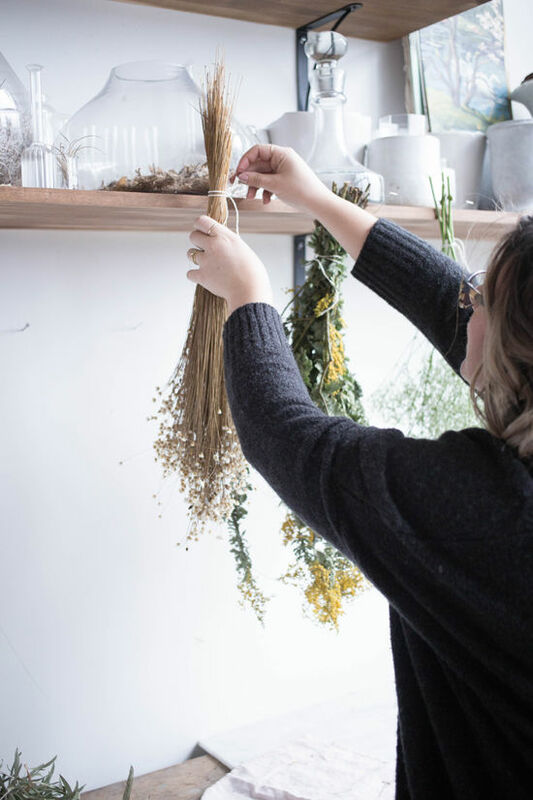 we’re true fans of alyssa hoppe over here and all of the projects she creates for us (hanging planters and this holiday wreath). 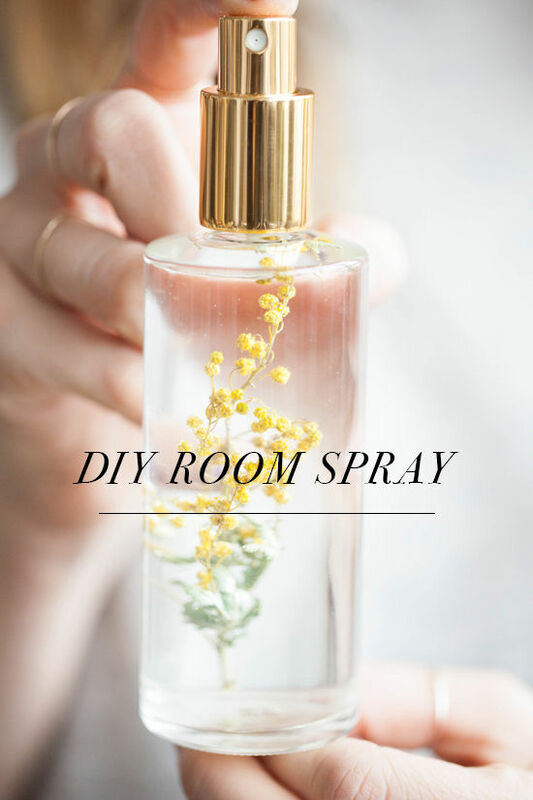 and today’s post is no exception, these room sprays are seriously beautiful. 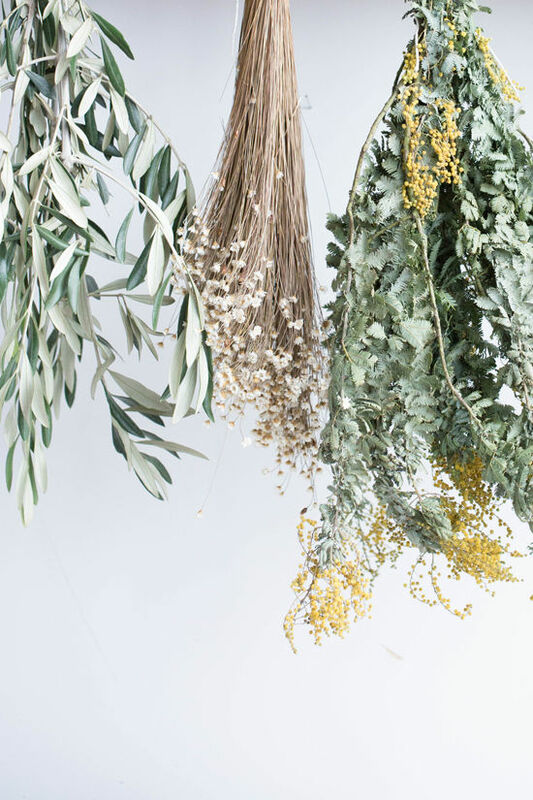 she teamed up with photographer nicole moser for the project and they’re going to show us how to make some of our own. 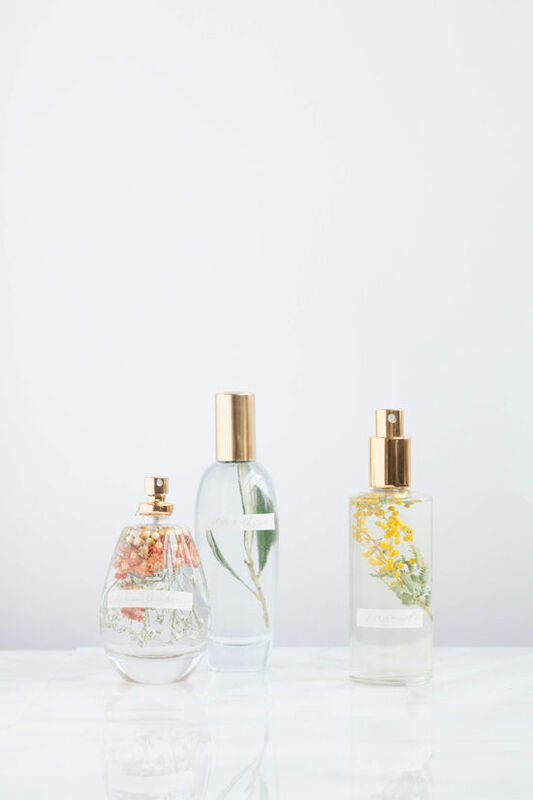 they’d be the perfect hostess, housewarming gift or addition to your bedside table, so pretty! 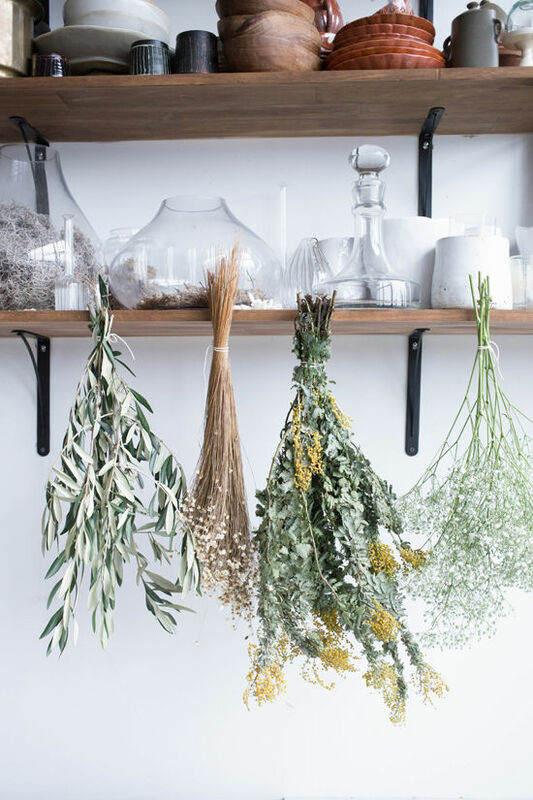 – If you’re buying fresh flower to dry, tie a string around the ends and hang upside down for a week. 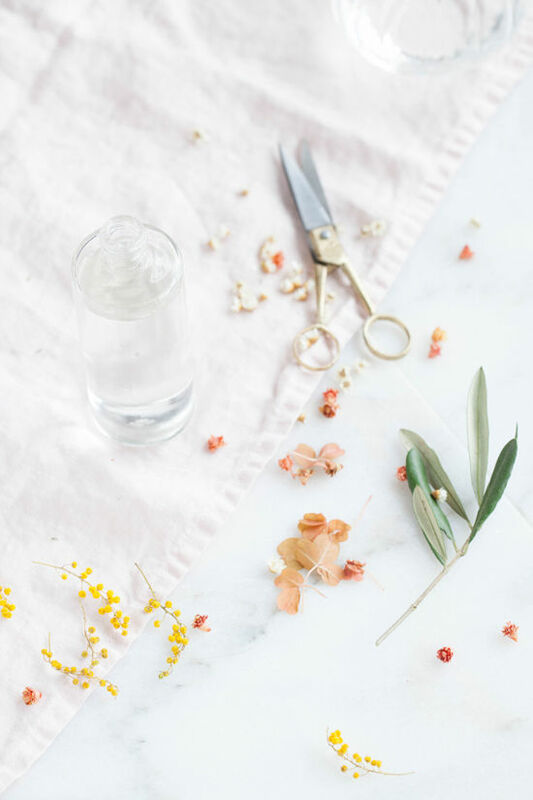 Once the flowers are done drying, clean out an empty glass bottle and pour distilled water three fourths of the way full. 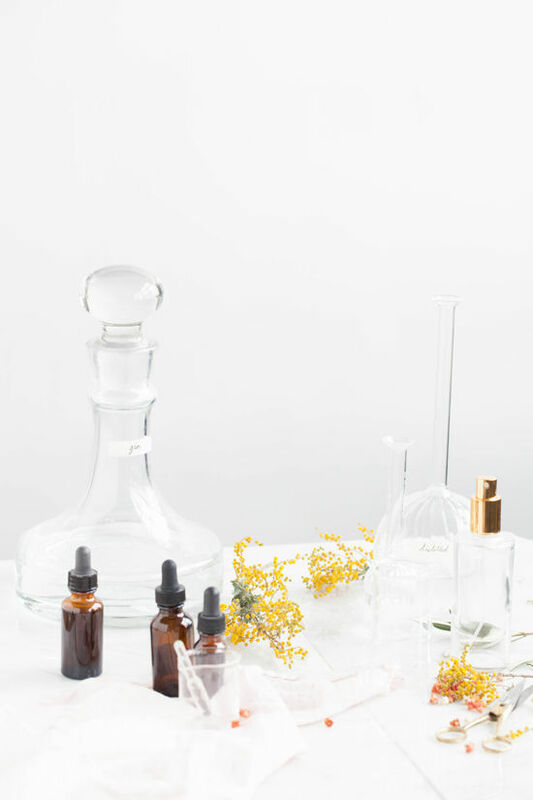 – Next, take your essential oils and do a total of 25-30 drops in the water. 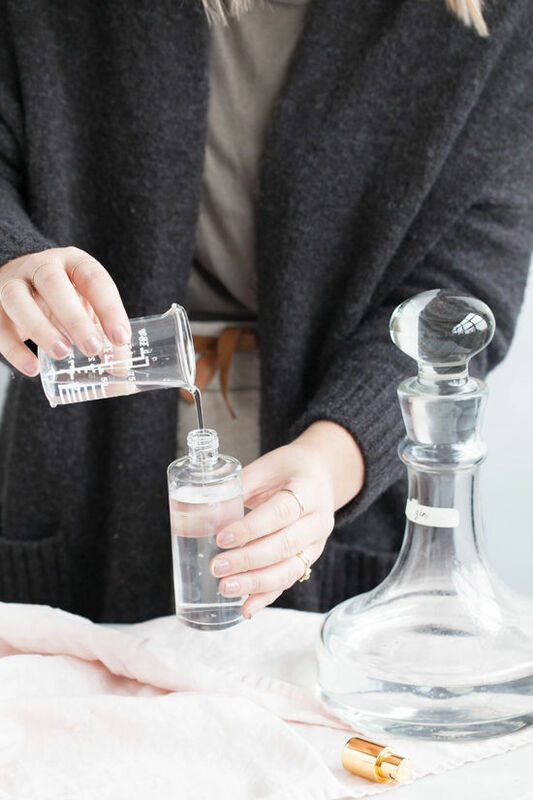 -Measure out 1 oz of vodka or gin and pour into the bottle. The ratio I use is 6oz distilled water/1oz alcohol. 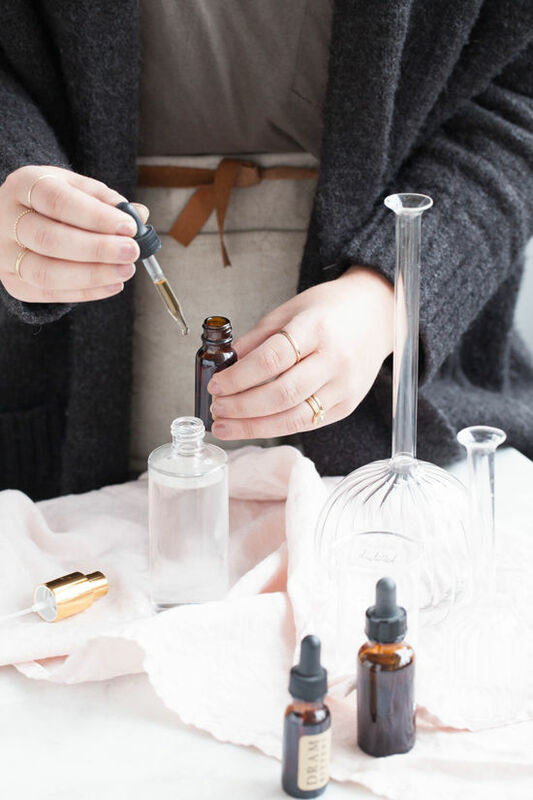 If your bottle is smaller or larger, you can adjust accordingly. 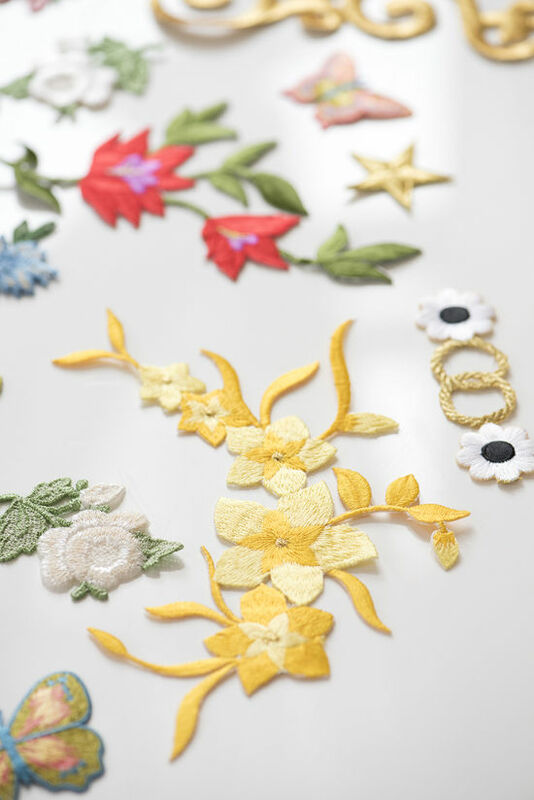 we’re sure you’ve probably noticed, but we have quite the thing for embroidered details these days. 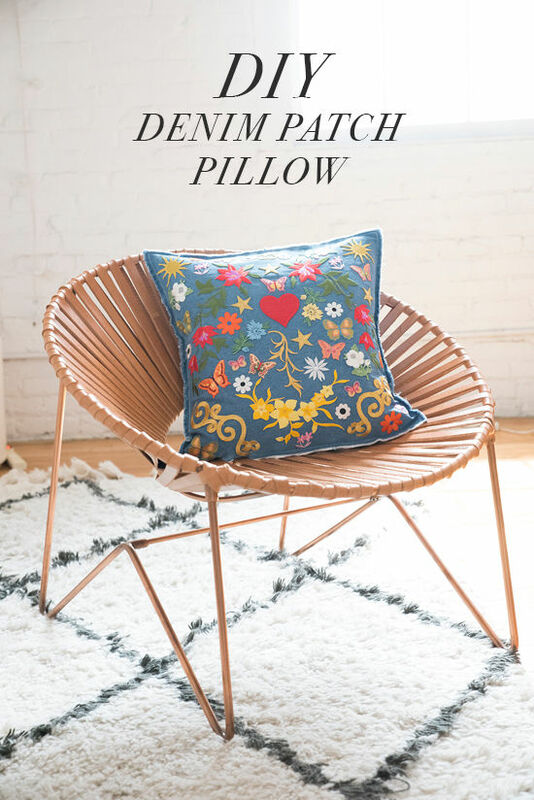 taking a cue from some of our favorite jean jackets we’ve made an easy denim pillow cover for all the patches we’ve been collecting and created the perfect way to work the trend into our home decor. 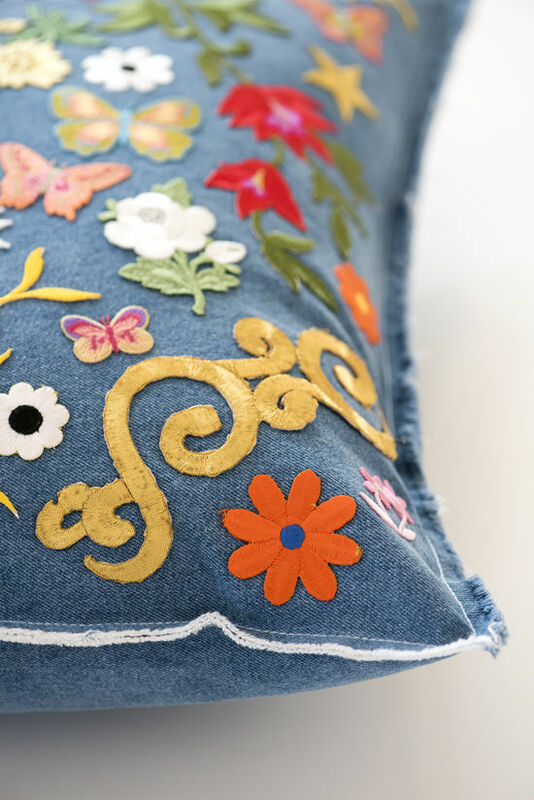 start by measuring the pillow you want to cover and make two paper pattern pieces. 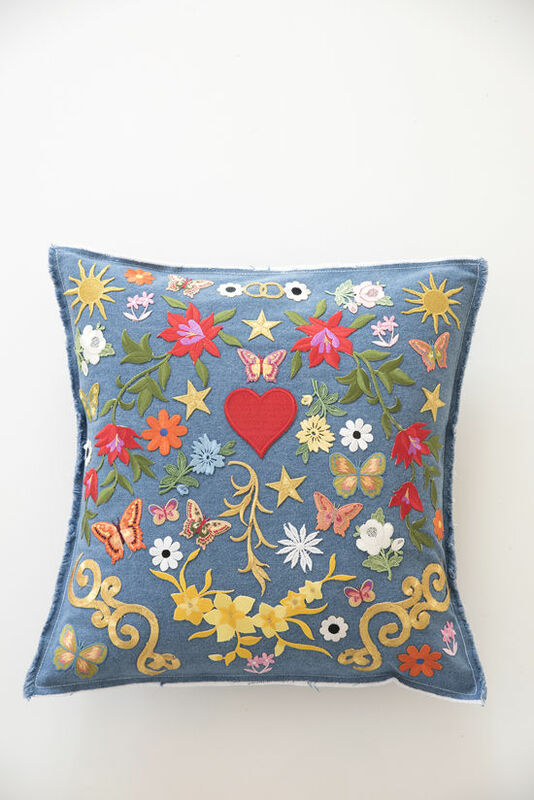 one for the front that is the size of your pillow (our is 16 x 16 inches) and one for the back overlapping pieces that is as wide as your pillow but half as tall plus 2 inches (so 16 x 10 inches in our case). 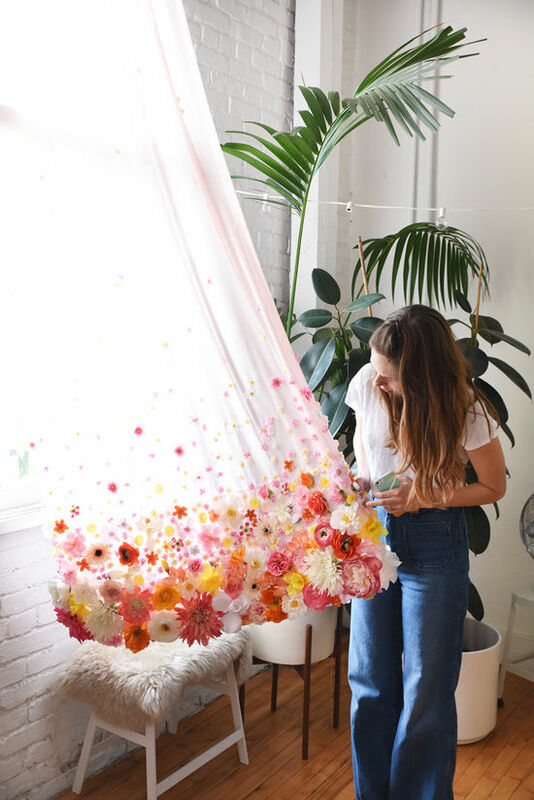 this DIY is a reduce, reuse, recycle project at it’s best. remember our beloved floral christmas tree? 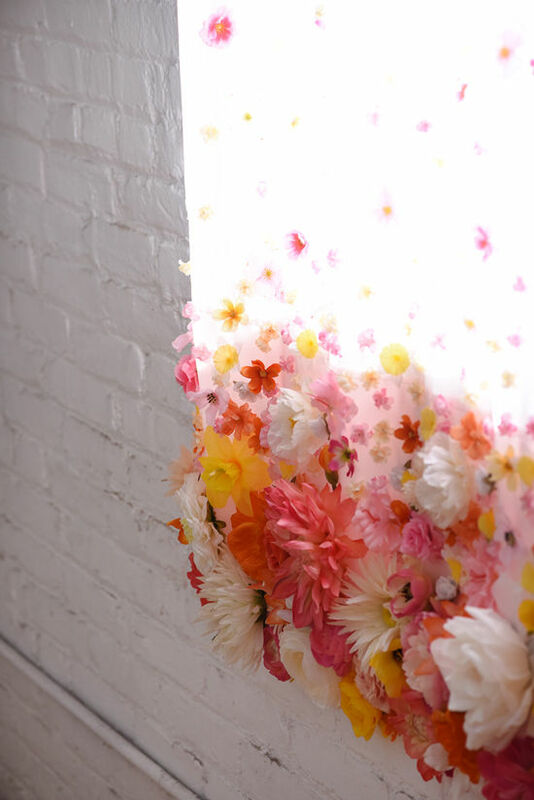 after a few months of looking at all those flowers and thinking about the good ole days we finally figured out a way to repurpose them so they could be on display in the studio all year. this project was surprisingly easy. 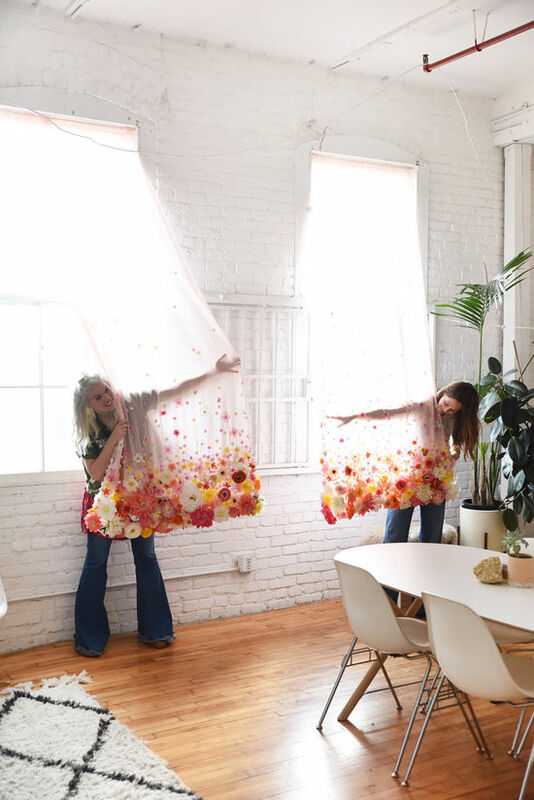 we had to custom make our sheer curtains due to the unusual size of the windows but ready made versions are easy to find to fit most residential spaces. 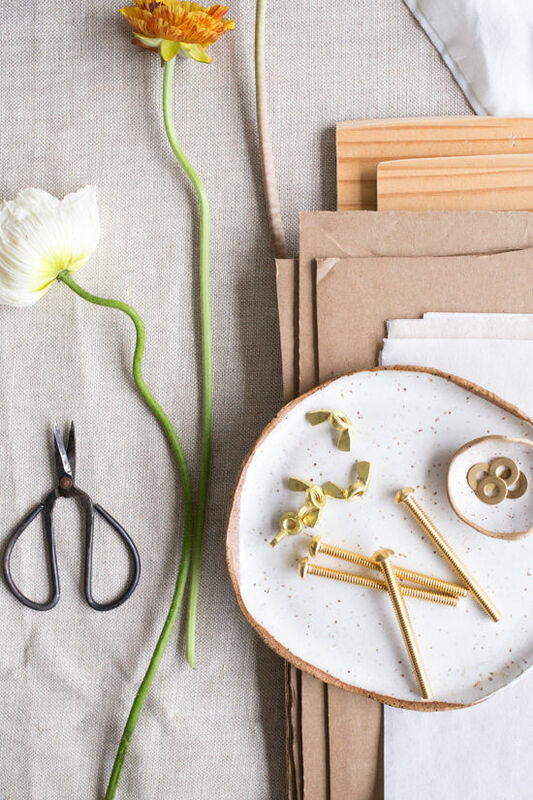 once you have sheers and your faux florals all you need is a pair of scissors and some high quality craft glue. 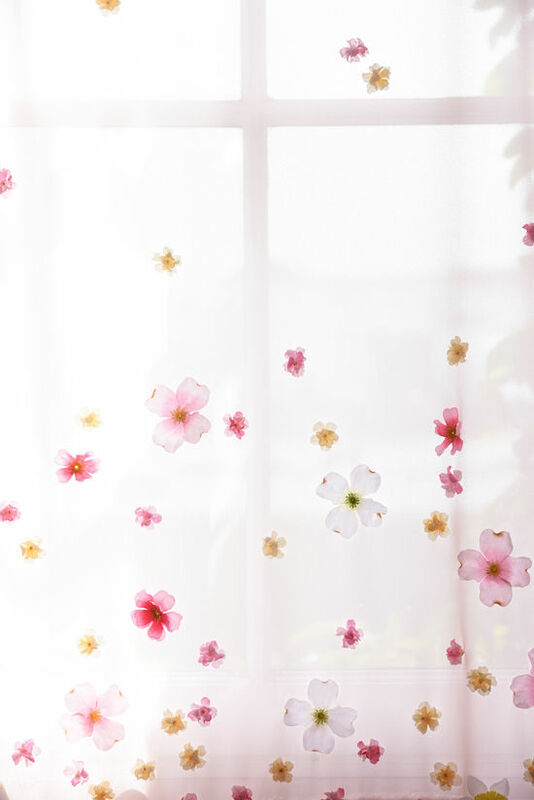 our favorite adhesive for this kind of project can be ordered here or found in most craft stores. 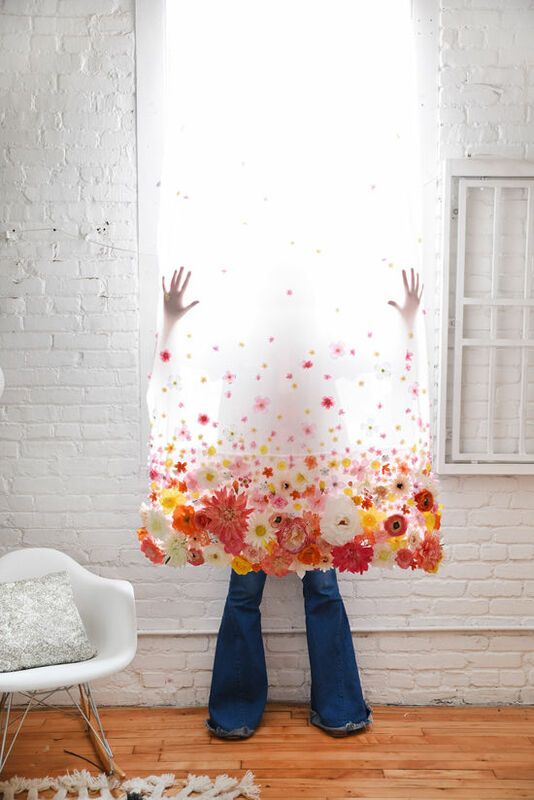 the key to this project is to try to make the backside of the flowers as flat as possible so that they adhere well to the curtain. using scissors just clip the area where the stem had been connected as flat as you can but making sure to leave the end of the plastic piece. 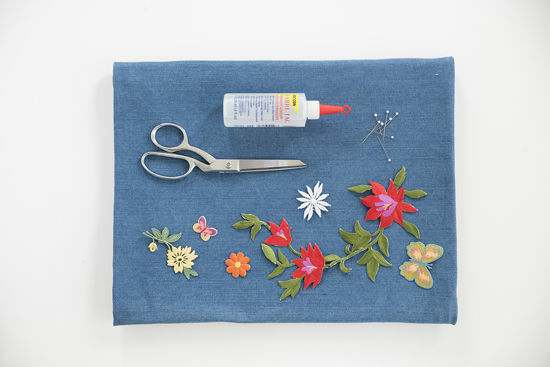 in some instances it is helpful to add a little glue to the remaining plastic part so that the petals all stay together. then just glue, glue glue. 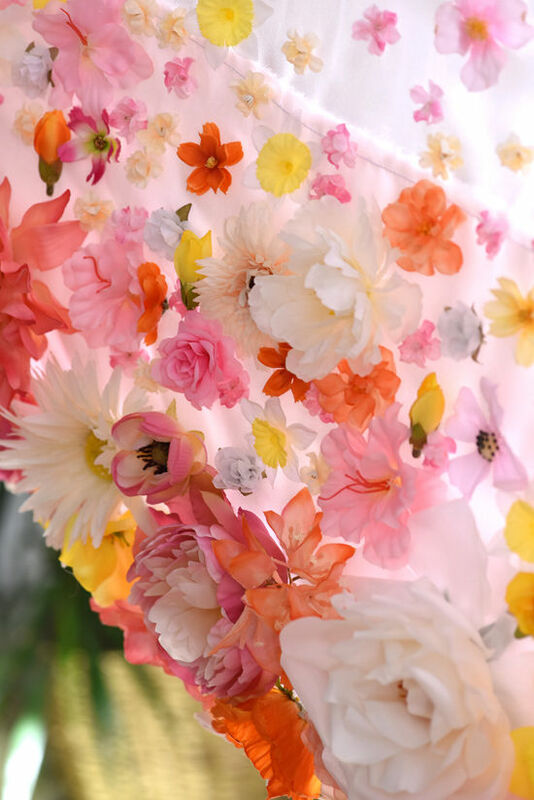 we started by glueing the large flowers first and then added smaller and smaller flowers along the way to create the sense of the flowers falling into a pile at the bottom. 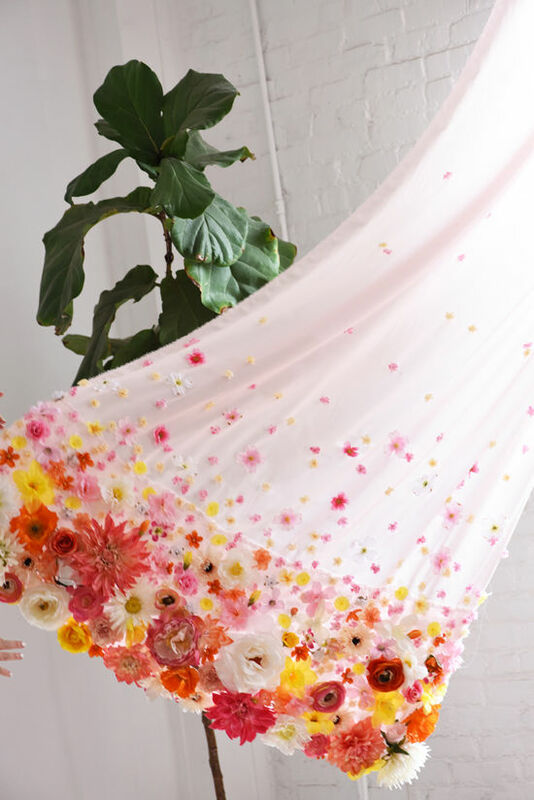 this is the perfect, relaxing weekend project. 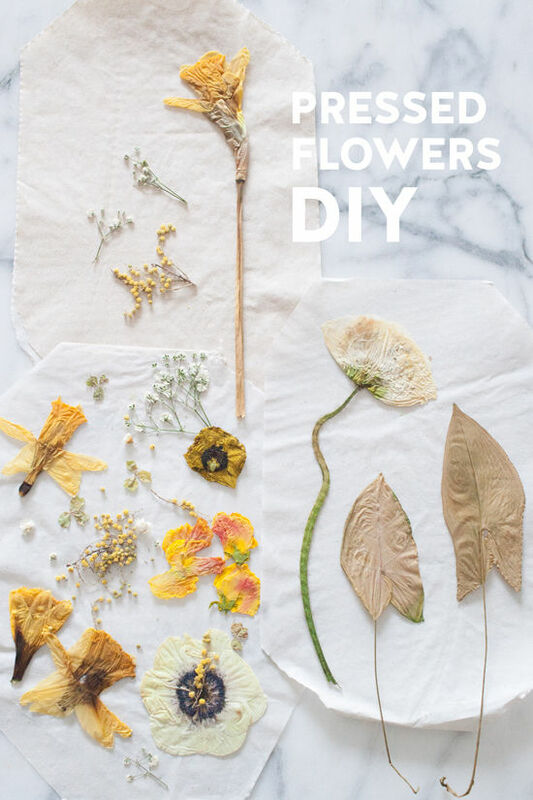 it takes a little while but it’s easy and and fun and in the end you can make yourself a little piece of floral magic. 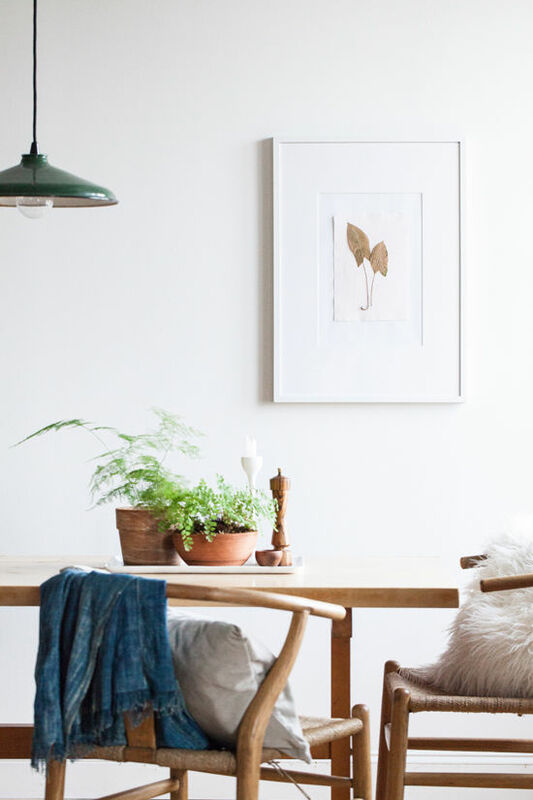 lighting fixtures really make a room come together but they can also be quite expensive. 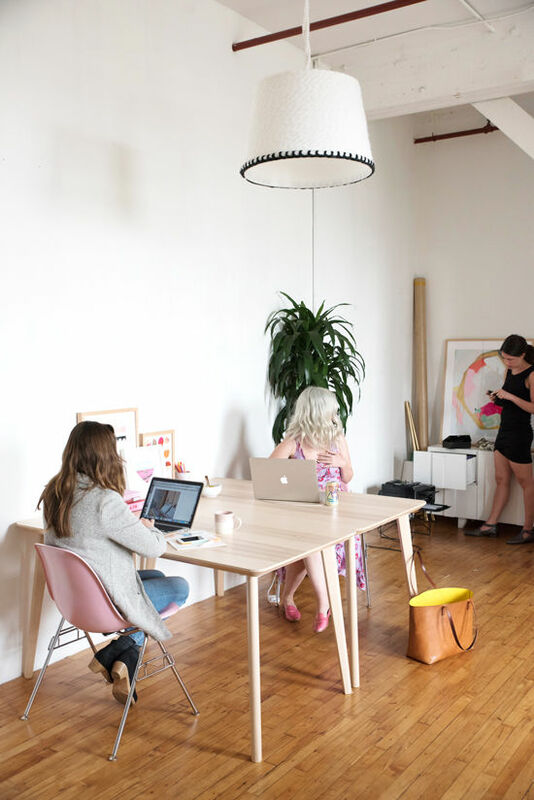 we wanted to create something unique and special for our office space without breaking the bank. 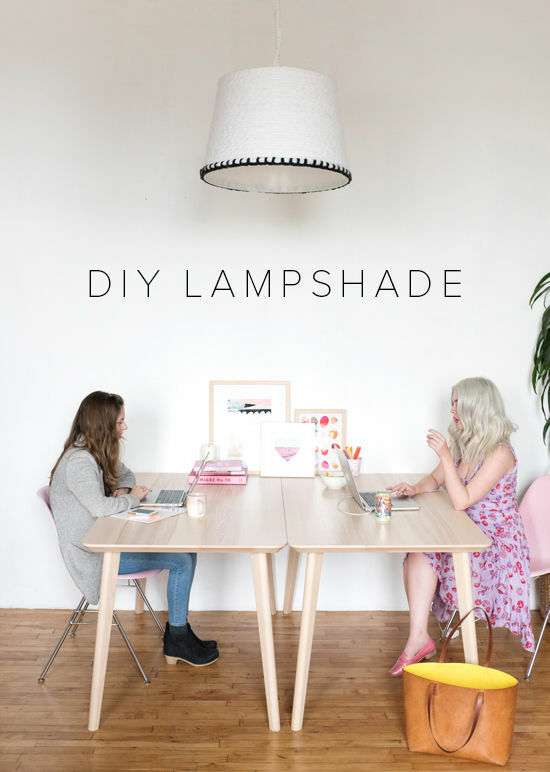 this modified lamp shade diy is quick and easy and requires just a few inexpensive supplies. it’s a total win, win. 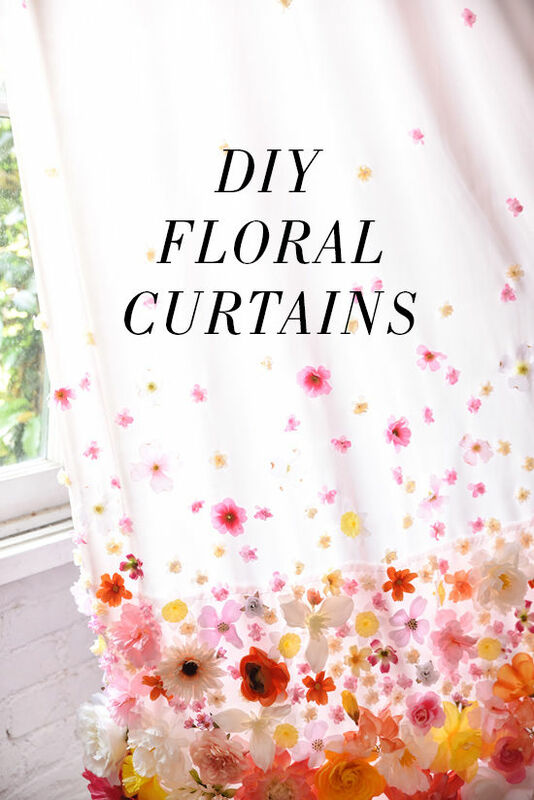 we saw this one and figured we would try to DIY it! 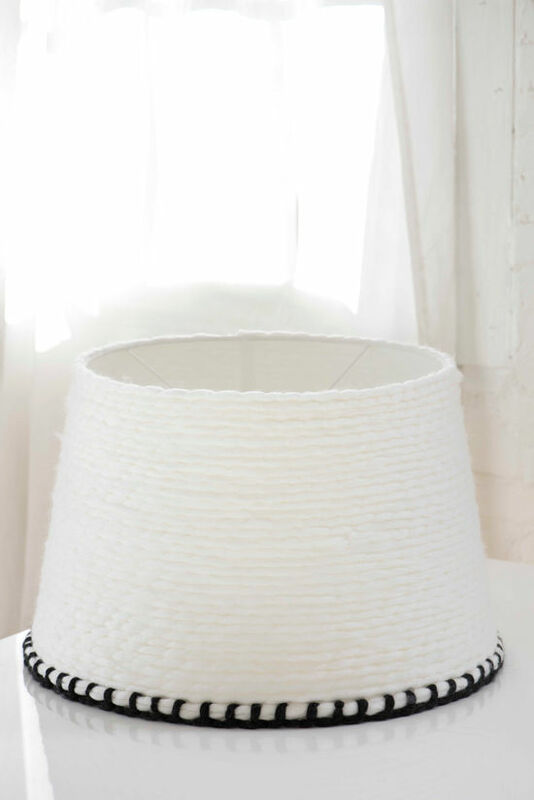 start by measuring the circumference of the bottom of your lamp shade with yarn, add a few extra inches and fold that amount over itself to double the thickness. 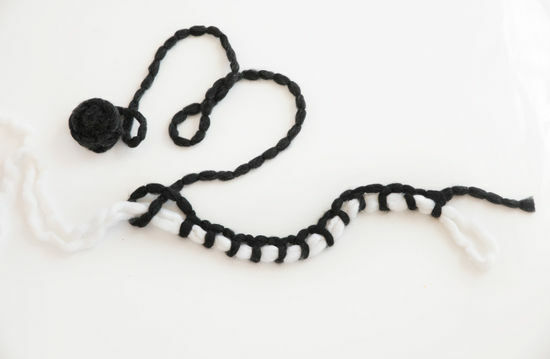 using the contrasting colored yarn tie a knot at the end. 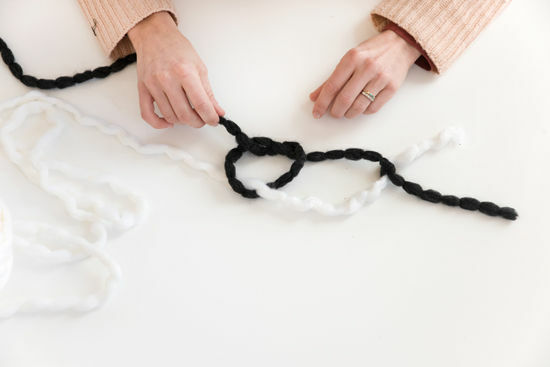 pull out the yarn about an inch and tie another loop, continue this until you have a long enough piece to wrap around the bottom of the shade. 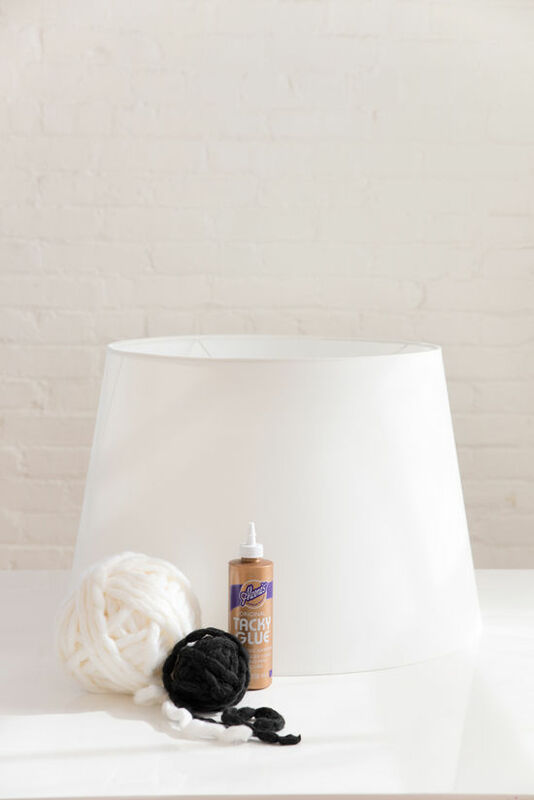 using the tacky glue adhere the two tone portion of your yarn to the bottom of the lampshade. the nice thing about tacky glue is that it doesn’t dry too quickly so you have time to get the yarn perfectly in place. after your first layer dries you can use a foam brush to apply wider areas of glue and simply continue to wrap the yarn around the shade. continue until you have made your way to the top of your shade and add a little extra dab of glue to the end for good measure and to keep the tail end of the yarn from fraying. 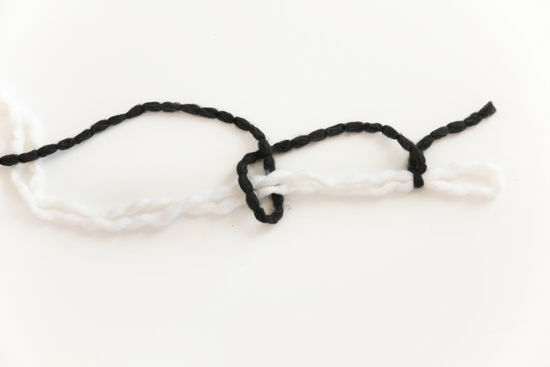 we added an optional macrame element to the exposed portion of the lamp chord. 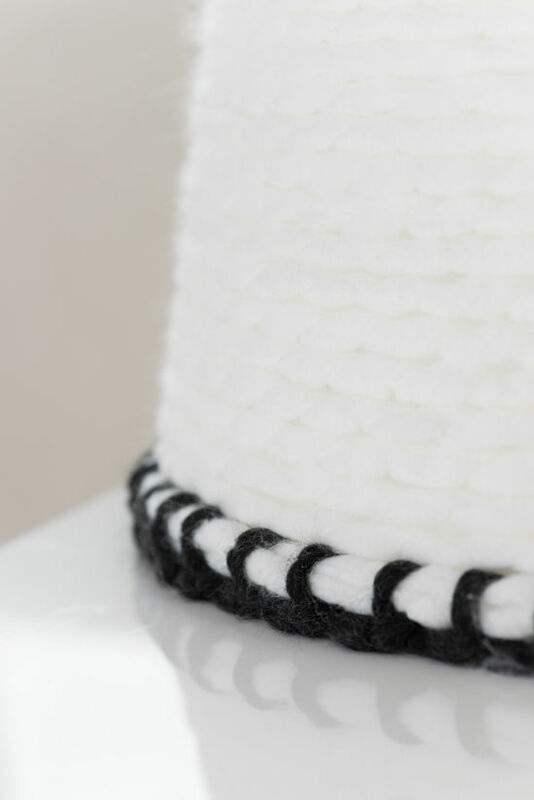 for directions on how to wrap something with a macrame knot see our COOLer cooler video here.